Bryan, Rachel, Kyle & Jeff provide their brief thoughts on the new Godzilla. Hey folks, it’s another bonus episode. 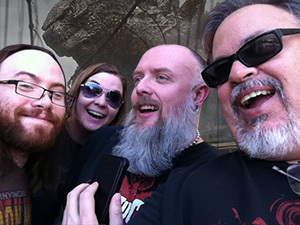 Jeff, Bryan, Rachel and I huddled around my phone to record a super brief episode talking about our excitement, trepidation and hopes for this new film before we walked into the theater to see the brand new summer blockbuster, Godzilla. We then did the same thing afterwards for a breakdown of how we felt the film performed. Don’t forget to turn in your homework (aka thoughts, questions & reviews)on the new Godzilla film before Saturday, May 24th to be part of the listener discussion episode!